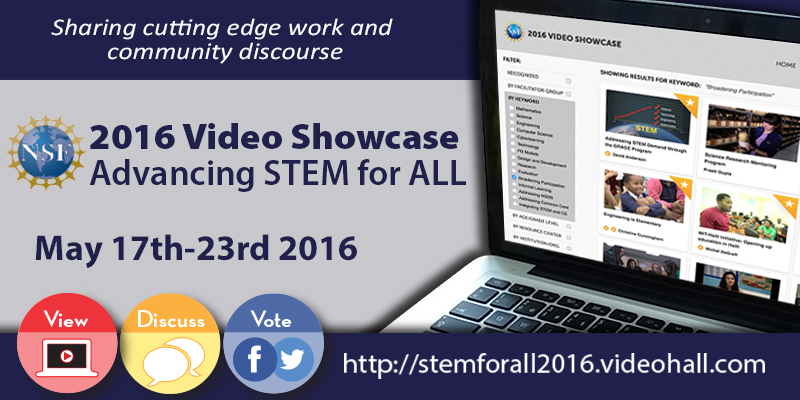 Share the 2016 NSF STEM for ALL Video Showcase on your organization's website, Facebook, Twitter, and Linkedin, or by email with your stakeholders, colleagues, researchers, practitioners, and students. 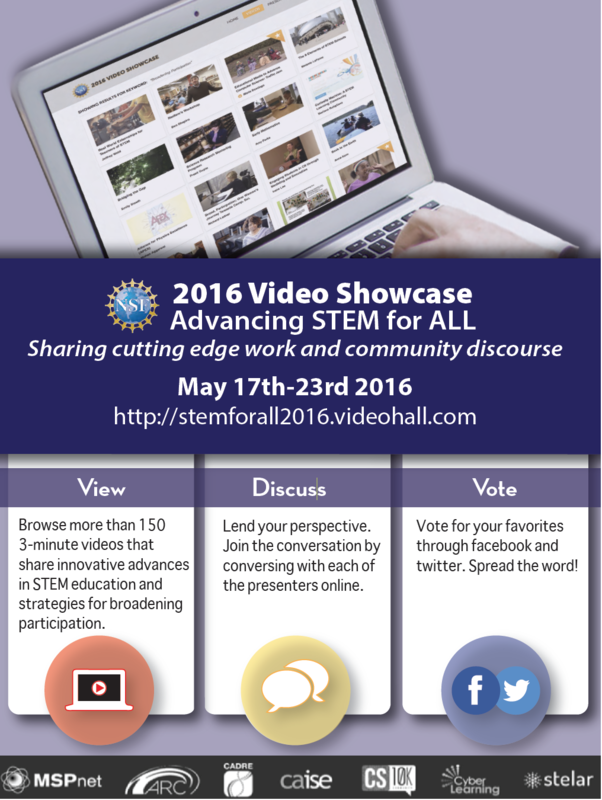 Make sure to tag all of your posts with #stemvideohall! The following toolkit to may be of use as you disseminate your presentation and those of your peers broadly. We'll be updating this section throughout the event, so check back for more ways to spread the word! Copy and Paste code below to your website or email message. Copy and Paste text below to your Facebook post. Copy and Paste text below to your Twitter post. Copy and Paste text below to your LinkedIn post.